It’s time for the first Cup of Candor, so grab your coffee or tea, and let’s chat. 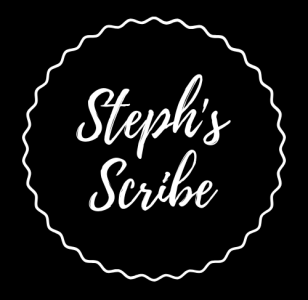 When I decided to embark on this new format for Steph’s Scribe and change the theme of the blog to A Cup of Candor, it came with an open invitation to my readers to offer suggestions of things they would like to see. One of my former students, a blogger herself at The Faithful Elephant, suggested I do a piece on “notes to my younger self.” I could open a can of worms with that one, believe me, as I’ve experienced some very hard and emotionally draining and heartbreaking life lessons along the way, but today we’ll begin with a much lighter, but still serious, topic. Today’s topic is this: What I didn’t have in college. And that thing is this: I didn’t have a mentor. Looking back on my years at Towson University, both as an undergraduate and graduate student, I wish I had built a relationship with someone I could call a mentor. I never did that. Not a teacher as a mentor. I had work mentors, but not an educator, not someone I could talk to about matters of teaching. With one of my mentors from the world of baseball, Dr. Charles Steinberg, at Fenway Park. Had I built a solid foundation with someone in education I could look up to, things may have been very different. I was working 80+ hours a week at the Baltimore Orioles during the time I studied in the master’s program in Professional Writing. I took one course a semester, as my full-time job was incredibly demanding. It wasn’t until the very last class in the program–a creative short fiction class–when I met Dr. George Friedman that I realized writing was going to be in my life, but it was my last class. George remained an inspiration and supporter, but I wish I’d had more time with him at the university. Simultaneously, I had the notion to be a teacher, but I never talked to anyone about that. Ever. It had always lurked in the back of my mind as a great career for having a family, raising kids, and doing some of my own writing. But I never pursued it. Not then. I never talked to anyone about the possibility of earning a Ph.D.; I didn’t really talk to anyone about it at all. I continued working at the Orioles and stayed for 13 years. After the completion of my Master’s degree, I was hired by a local community college to teach. When I retired myself from baseball and had fallen in love with teaching, I taught for a total of nine years until I was hired by Villa Julie College (now Stevenson University) as an adjunct professor. Even then, with two little ones, I never pursued a Ph.D. My life had moved along, and it wasn’t the right time to go for that. When I became a full time professor at Stevenson, I ended up going back to school to earn an MFA in Creative Writing, considered a terminal degree, similar to but not as intensive, as a Ph.D. My kids were small and I couldn’t imagine investing four or five years of my life in a Ph.D. program at that stage of my life, so I opted (and gladly so) to pursue the MFA, which was a great decision for me considering my life, occupation, and family. I loved the program immensely and gained so much from it. So here’s the note to my younger self: Get a mentor at an earlier age and ask a lot of questions. Talk about your job options and opportunities. Think through not just the here and now of your life, but also what is or could be in your future. Looking back on it now, I might have gone a different route and pursued a Ph.D. earlier in my life—before marriage and kids—had I had the encouragement from a mentor. With Shane, who said we were his PR mentors (student in front) and Dr. Leeanne Bell McManus. We pride ourselves on our mentoring of students. Some of my students today from 47 House, the Integrated Marketing Communication club on campus. Everyone should have a mentor, both in business and in life. We look for guidance from people all the time. We want to have relationships with folks so that we can learn from their experiences and so that we can use that knowledge to inform our own decisions. Now, all these years later, the shoe is on the other foot. I remember what it felt like to not have a mentor, and so now I believe it is both my responsibility and my passion to be a mentor to young people who are now currently in my old shoes. I know what it feels like to need someone’s support and guidance, and now I am there for my students. My door is always open, and if I can provide some insight, I will. There is something to be said for being older and wiser, although I much prefer the idea of being wiser without the older part. Hope you found today’s chat useful, and if you know someone who could use a good mentor, please feel free to pass along my message. Hi Stephanie! This is a great topic. I would have to agree. I too didn’t have a mentor in my life – not in business, not in personal. It’s easy to look back and see where some positive influence would’ve been beneficial. Perhaps that’s why I joined the PASS program as a mentor when I was first asked. Those ten years as a mentor taught me a lot. Keep up the wonderful writing, my friend.